Email Open Rate Metrics - Why Falling? Why Unreliable? I just got my new weekly chart from Marketing Sherpa, and saw proof that email open rates have been declining rapidly for the past few years. Many technical / analytical marketers have known this for a while, but it is always great to have objective data to back it up. The chart is pretty clear. But there are actually two major factors driving the data. First, there are some trends about email as a medium that work to lower open rates in general. Second, changes in technology are making it more and more difficult to get reliable open rate data. Why Are Email Open Rate Metrics Falling? More Deleting. People are overwhelmed with email. 10 years ago, maybe people read all their email. But today, many people (like me) scan their email with one hand on the mouse and the other on the delete key. Don't pass my nansecond scan for importance? Delete! 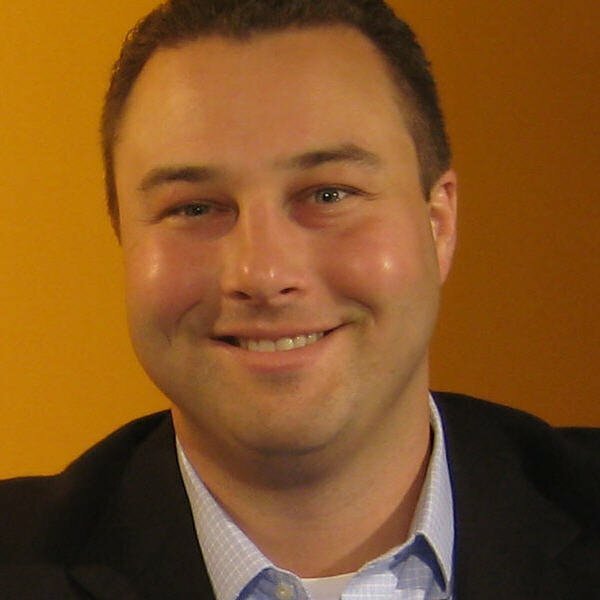 Why Are Email Open Rate Metrics Unreliable? The fundamental reason email open rate metrics are unreliable is that the metric relies on a tiny image in the email being downloaded by the person reading the email. When this image is downloaded from the web into the person's email reader, the software counts that email as being read. This is the only way that anyone has been able to figure out how to track if someone opens an email, and all email marketing systems use this method. Here are some examples of the impact of this technology on the open rate metric. Outlook. For a few years now, the most popular business email client, Outlook, has been blocking images by default. This means that as more people upgrade to more current versions of Outlook, your open rate will decline, even if people don't really change their behavior. Web Email. More and more web based email systems like Gmail and Yahoo are also blocking images. Again, this means that more and more people will not show up as opening your email even if they have not changed how often they read your email. Mobile Devices. Many mobile devices (like the Blackberry) read email in text format by default. In text format, no images are downloaded, so if someone reads your email on a Blackberry, it is not counted in your open rate. So, if the people on your list have been using mobile devices to read email more, that would decrease your open rate. What Are Email Open Rate Metrics Good For? Short term trends. If you compare the trends of your open rates within a 6 month period, you can probably get a sense of if your email performance is moving up or down because of the composition of your list and the quality of your content. Just remember that there is a slight bias for your open rate to decline over the time period. Looking over a period longer than 6 months is probably not that useful. Comparisons. If you send out two emails at the same time as a test, you can compare factors like the time that you sent the message or the subject line of the message to see which one performed better. It is useless to compare one subject line from an email you sent today and another from an email you sent a year ago, but if you send the emails at the same time, the open rate metric might be able to tell you which one performed better. This assumes the sample size of your list is big enough (many thousands) to get reliable data. What Email Marketing Metrics Should You Evaluate Most? Click through rate. Looking at the total number of people that clicked through to your landing page out of those to whom you sent the message is a good, reliable metric. A higher click through rate indicates a better list, better subject line, better offer, better call to action, better creative, etc. You just need to test properly to figure out which one. Leads or Responses. Also measuring how many of those clicks turned into leads and/or the percentage of people to whom you sent the email that actually completed the form or other desired action is another great metric to track. You should also look at the cost per lead or cost per response/action. What email metrics do you track? 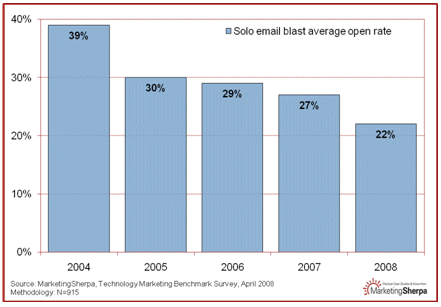 What has happened to your email open rate over time? Leave a comment below.